Today Phase One released an update for Capture One to support the FujiFilm X-Trans formats. This includes both the X-Pro1 and the X-E1 cameras. I've been testing them out the last couple of weeks and been very pleased by the results. Although I'm hesitant to call it perfect (my own workflow still yield slightly better results in resolution) I'm pleased at least to say that there's a professional raw processor that supports the FujiFilm X-format that has the same workflow efficiencies as Adobe Lightroom. It resolves much of the nagging issues that some users complain about using Adobe Camera RAW or Lightroom, and yields the professional and user friendly software of Capture One. I've also used the latest Capture One (7.0.2) for several weeks with my Canon EOS 5Dmk3 files as well and there were no real surprises there, however the support for full tethering has been improved which was one of the earlier problems with the initial release of Capture One 7.0. Adding support for the FujiFilm file format seemed to be a top priority by Phase One and this is certainly welcome considering the detail smearing that seems to plague any processor that seems to use the traditional processing on the FujiFilm files. With this new player on the game, we now have all but DxO Optics as major raw processing engines that fully support the format (I forgot about Aperture, but I think Apple has forgotten about it as well), however rumour has it that Adobe is working on a new ACR 7.3 that will introduce some improvements to the X-Pro1 and X-E1 files in the coming months. Regardless, the results speak for themselves. I found that Capture One not only improves in details, but also prevents some colour smearing which seems to be another issue in the Lightroom files (look especially at the log on the lower left where the log has lost a lot of wood grain details). The dynamic range controls have also been improved from Capture One 6 to Capture One 7 which is a big upgrade, but also in comparison to Adobe Lightroom seems to have less clipping and noise issues when pushing those functions to extremes. Now not everything is perfect here. There's still issues with Capture One and the details. Moire seems to be an issue that causes an unusual maze like pattern to appear in specific textures and still some smearing of details happens. However the great news is that it smears at a much higher detail rate over Adobe's implementation of these files. I discussed the issues with Phase One over the past couple of weeks and have been sharing my own findings, and one of the simple ways to combat this issue is to turn off the Details slider in Noise Reduction Advanced (or reduce this). This seemed to correct for some of the smearing of details that is set by default. I'm hopeful these minor issues will be resolved in the next version of Capture One, but for now, it's very nice to have a professional RAW processor that at leasts matches the output quality of the JPG files out of camera, with far more flexibility found in RAW processing. Thanks for the email and the post. I was using the beta and now the updated version. I have been doing some tests between Lightroom and Capture. Lightroom has a bit more flexability for certain things but Capture almost seems to take the raw image from The X series and finalize it on import. I am finding a bit of a struggle with the shapren slider. Are you changing any of the sharpening settings and if so by how much in Capture. I keep pretty much every raw processor on our systems just to be prepared to answer students questions. Thanks again for keeping up the blog. In these examples they are the default settings. I actually prefer to tone them down a touch, and also turn down the detail slider in the Noise Reduction Advanced section which causes detail loss. By the way, if that is the new 14mm, it appears to be incredibly sharp. I have two xe1, the x pro 1, the x10, x100 and could not be more over joyed. I am teaching some Nikon camera classes in a few weeks, and I used Nikon cameras for years being that I worked for them for 33 years and just lifting them up to work with the menus was a horror. Great cameras but to big for me at this stage of my Photography Journey. This is actually the 14mm Samyang that has been adapted for the X-Mount. I'm hoping to get my hands on the Fuji one soon, so then I can compare them. C1 seems to have too much sharpening, I honestly prefer the version of LR4. These processes are with the default settings? The default settings are a little over sharp in my opinion. The LR4 version does looks fine however there is bad detail smearing that loses about 30% of the details which is significant. With some adjustment on CP1, it's easy to adjust it and compensate for it. There is a lot of detail in this scene, which I chose specifically to see what subtle details are loss, however I'd rather start with all my details and pull back a little if necessary. I haven't done an art print test yet which will really show the differences. I have some test paper that Ilford sent me that I just might do that with. Thanks for the comparison of LR and C1 raw file processing results. 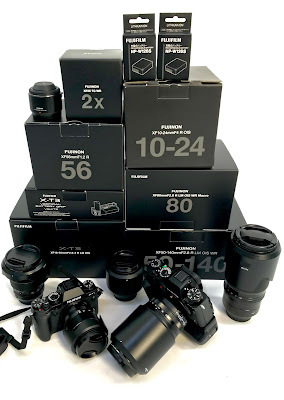 I have been thinking about moving from my Canon 5D system to the Fuji X-E1. There is a lot of buzz on the Internet about how fantastic the image quality is with Fuji's new sensor. There is also a lot about moire and color smearing. So, I am a little confused. Is the moire noticeable in prints or is it only really obvious when one zooms in on a computer screen? Or perhaps put a different way, in what size print will the moire become obvious? Many thanks for any light you can shed on this for me. There is a lot of buzz about RAW processing and how they are rendered and the popularity of my posts might perpetuate some of those thoughts. But I want to be clear and tried to be clear about it, it's not really an issues. I print fine art prints from my X-Pro1 files and have no issues with both Moire or with the smearing. The issues only manifest themselves at 100% and beyond. The real point for some of us who investigate this 'issue' is to truly prove that the images are better than what Fuji claims against competitors. As a 5Dmk3 user as well (and occasional user of the D800E), with the new crop of processors, I would say that it rivals the higher mega pixel count cameras. 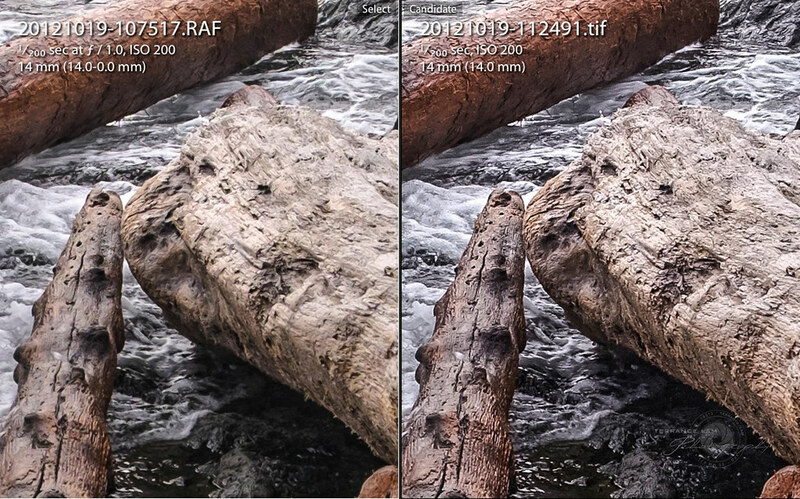 Now it's hard to beat more pixels in terms of resolution, but one thing that is clear is that AA filters do soften up images, and interpolation of bayer sensor also loses details. Because of this, the X-Format files do have some significant advantages. As the RAW processors mature, and Capture One's first attempt at it is very good, it does prove that FujiFilms approach can produce a much better image than comparable MP cameras, and also match very closely to higher resolution cameras. 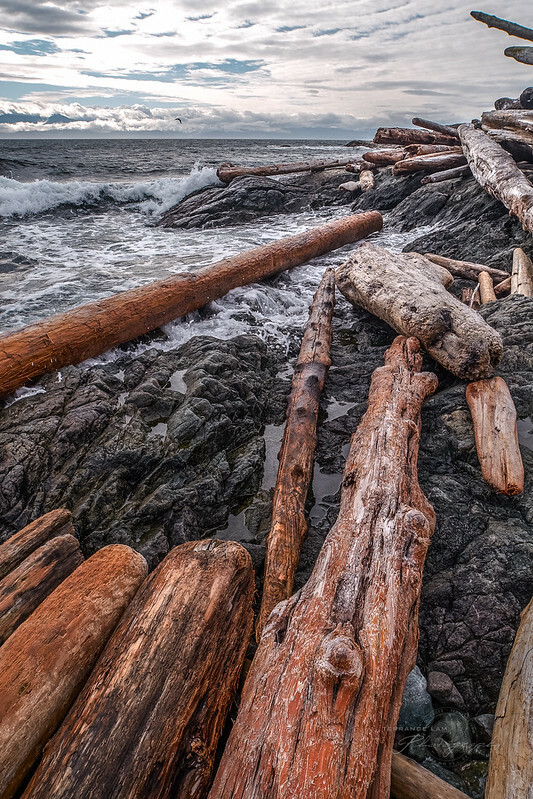 But even in terms of the lowest common denominator (Lightroom) processing. The prints that come off of that look fabulous on my 13x19 prints, and on my 20x30 prints that I've done on high end printers. I'm very confident that even larger 40x60 inch prints will print even better after being processed by Capture One. Many thanks for this. It is very helpful to have a better understanding of how the well-discussed moire affects the final quality of the prints.